In a world in which media representation offers a weighted influence on social opinion, it is important to consider the impact on specific groups who are marginalised. This impact and how it shapes and strengthens existing inequalities and disparity needs to be measured. This blog reflects on the research of McEnhill and Byrne (2014) and on how narrow perceptions of people are often used to shape and influence wider attitudes. McEnhill and Byrne examine how disability benefit claimants are viewed through the lens of the print media. The study discussed here looks at The Sun newspaper and its articles regarding disability benefits claimants in 2012. The authors identified 63 articles that looked solely at disability benefits, 54 of which alleged fraud or dishonesty. 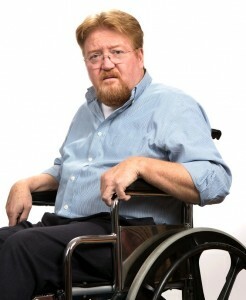 The authors explored and compared cases, where disabled welfare claimants are characterised as ‘shameful scroungers’ or ‘lead swingers’ against the ‘honest taxpayers’ (Newton Dunn, 2012a). This characterisation is considered throughout the paper, as part of the binary ‘deserving/undeserving’ definitions which (mis)inform the wider public (if indeed the label ‘wider public’, can itself be upheld). The research looked at how disability welfare benefit stories were reported in the Sun newspaper in 2012. The paper considers the polarised characterisation of disabled welfare recipients as undeserving and how they were represented through the print media of The Sun in 2012. The research explored the weighting of the number of articles and their repeated portrayal of people in receipt of welfare benefits as being ‘undeserving’. This highlights the importance of deconstructing the cause of such stereotypes and how morality is conveyed to a readership in simplistic ways. The authors discussed evidence where the message offered about fraud by the media outlet is not consistent with actual fraud rates. The authors noted that articles about ‘deserving’ disabled people were largely absent but that injured members of the armed forces attracted greater sympathy. The Sun articles were found to apply moral value, not only to the action of claiming benefits and the person’s biomedical label, but to their life course and experiences. For example, the authors note the particularly disparaging language used about people with mental health or addiction problems or fluctuating conditions. The authors examined the range of ways used to communicate particular ‘viewpoints’ on disability welfare recipients which lead to misrepresentation through over-weighting, simplification of complexity and reinforcement of prejudice. 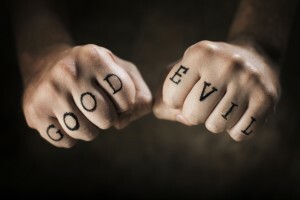 They reflect on how these stories feed into a wider construct of suspicion of motives within society and supplement already existing attitudes of intolerance and prejudice, often in tandem with government welfare policies. Most of the reporting relied on the moral binary of the deserving and undeserving as well as fear of fraud. Disabled people are regarded through a deserving/undeserving lens whereby moral judgements are fluid and binary, and articles relating to fraudulent claims are disproportionately high when compared to the fraud rate. Further to observing such a binary divide between the deserving and undeserving disabled population, it is tentatively suggested that such portrayals being congruent with those of government ministers serve to further legitimise this position. For me, the paper highlights multiple points of concern. The first of these is in how complex interactions are simplified and vaguely labelled under essentialist concepts which are interchanged with ambiguous all-encompassing terms (the ‘weasel words’ to media aficionados). This is certainly shown in how ideas of the singular stoical taxpayer is conveyed in such media representations. It is also shown in how the generic concept of disability, through its correlation to welfare, is represented as a ‘burden’. The research findings can be explored through a further window of thinking – this is how ‘healthism’ is applied, the notion of (taxpayer) ‘toil’ equates to meaningful purpose, and how this genericism allows for simplistic binary characterisations to mean everything, while meaning little (see what I did there?). 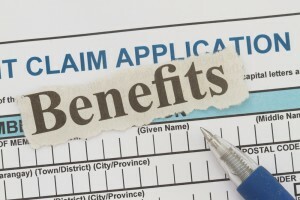 The research is important in exploring the embedded use of morality as the authors examine why certain media outlets pass simplistic judgements about the validity of benefit claims. The challenge with such fluid use of morality is that a discourse is then set which sets social role against social role. All this happens without considering the story or the narrative of the human life experiences underneath. This can then be considered as an oversimplistic form of essentialism which permeates through the media to shape the prioritisation of resources through perceived ‘worthiness’ and the smoothing of complexity. The research considers the associated implications of the ‘personal tragedy theory of disability’ (Oliver, 1990, 10) and the work of Barnes and Mercer (1997) regarding society and its lack of implementation of social supports and structures for disabled people. Through the association with welfare benefits, disabled people were conceived as a burden. There could have been more subtle discourse regarding the influence of campaigning movements based on lived experience, particularly how some sorts of disability are shaped to frame greater agency and voice than others and how the competition for limited resources to challenge inequalities. This relates to the commodification of diagnostic or disability ‘label value’ through campaigning. 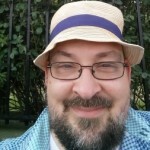 It could be argued that this may have an influence on the right wing print media narrative of ‘undeserving’ and ‘deserving’, and assists a discourse based on disparity and fragmentation rather than one of holism and cohesive social challenge which is progressive and works towards common goals of social justice. Is it really as simple as honest taxpayers vs. welfare fraudsters? The study by McEnhill and Byrne offers an exploration of how attitudes to those accessing disability benefits are established in the ‘right wing print media’. It could be reflected on that such attitudes have further subtle influences in how life experiences and labels of illness are socially quantified and moral value applied. The authors reflect on the work of Baillie (2011) who considers attitudes are formed by a lack of understanding of the rules of how claims are made. This offers a final question which I will leave for consideration: how do the processes of acceptance of discriminatory views hide behind the ambiguity of interpretation? Is discrimination based on expedient availability of what is termed ‘knowledge’ or ‘media’ rather than a clear and obvious choice to oppress? This paper highlights the importance of challenging discriminatory views, evidencing their social effects and ensuring an accountability for the reproduction of stereotypes in print media. 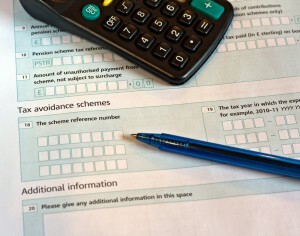 “@SocialCareElf: ‘Beat the cheat’: disability welfare benefits and newspaper reporting http://t.co/GU0XUJwi0C” Should be required reading. @jaxrafferty @SocialCareElf @dawntalbot1961 @AlresfordBear @BeresfordPeter Me too! @AlresfordBear @helenscholar @jaxrafferty @SocialCareElf @dawntalbot1961 thanks for writing!!! @SocialCareElf @AlresfordBear I just hope that the Bear isn’t tempted to eat an Elf for dinner!!! @Aspirantdiva @SocialCareElf Thank you Jo for reading. @Aspirantdiva @SocialCareElf Indeed, progress never occurs that much. A fan of Kuhn me. @SocialCareElf @DrFulli @Mental_Elf @lynnefriedli @robertstearn And the wider implications of developing biomedical labels for inequalities.